Reply 'To Dr [James] Saunders about Lady Abercrombie', largely concerned with purging and the continued use of an issue and other treatments. 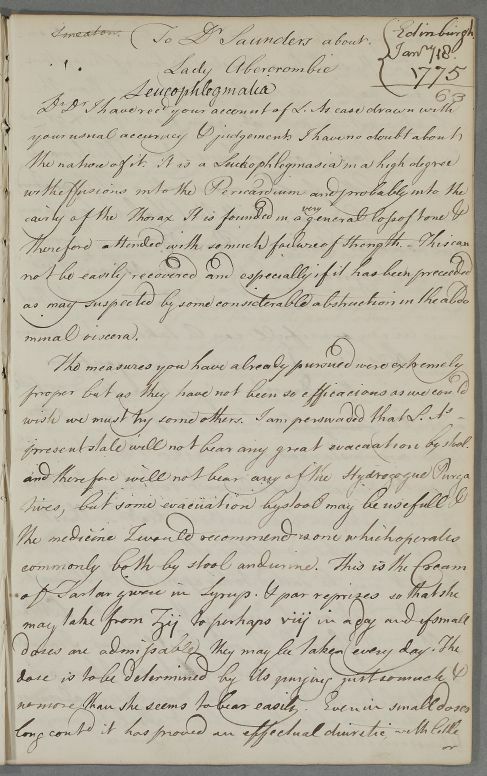 Identification of addressee as Dr James Saunders of Banff manifest from his other letters concerning the Abercromby family. 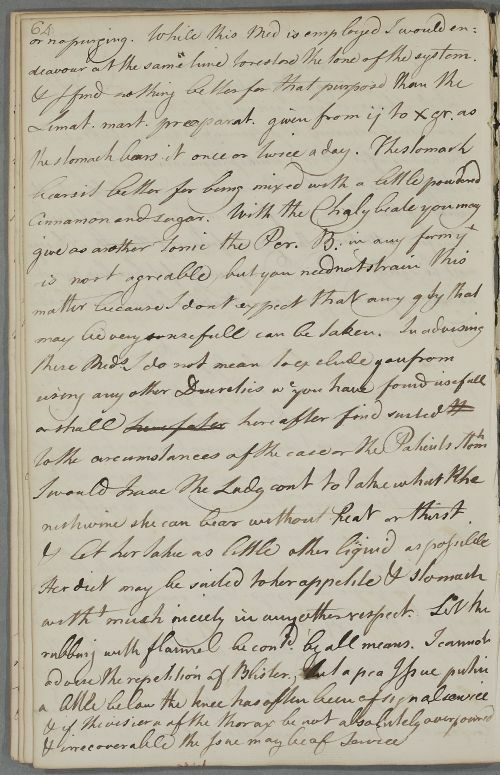 Summary Reply 'To Dr [James] Saunders about Lady Abercrombie', largely concerned with purging and the continued use of an issue and other treatments. Identification of addressee as Dr James Saunders of Banff manifest from his other letters concerning the Abercromby family. Case of Lady Abercrombie [Abercromby] who is pale and short of breath; she believes she may be jaundiced. present state will not bear any great evacuation by stool. deavour at the same time to restore the tone of the system. nish wine she can bear without Heat or thirst .